At first you need to understand it at the intellectual level, but actually Dhamma can only be truely understood when it is lived in life, only when it is practiced. But initially it is necessary to listen to somebody explain it and try to understand it at the intellectual level. Then a stage will come when it is practiced. Dhāraṇa kare so Dharma hai, varanā korī bāta; Sūraja uge prabhāta hai, varanā kālī rāta. Generally speaking when we kill a living being, it is considered violence, when we abstain from killing, it is non -violence. Let us understand this at a deeper level. If we deprive somebody of peace and happiness it is also violence,if we do not do so it is non-violence. This is the first moral precept. The fourth precept is not to tell lies and not to speak harshly. When we tell a lie and cheat people we rob them of their peace and happiness and when we speak harshly to others and make them agitated, again we rob them of their mental peace and happiness. All such actions come under violence. One commits acts of violence not only when one kills somebody but also when one deprives others of their peace and happiness. These are called moral precepts, good conduct or Cāturyama—four restraints. However, only believing that these precepts are good will not suffice, one must practice them in life for them to prove to be beneficial. A fifth moral precept was also added, which is to refrain from indulging in drugs and alcohol or any kind of intoxicant. Even though one understands that one should not deprive others of peace and happiness, one will possibly indulge in sexual misconduct, or tell lies or speak harshly when in an inebriated state without realizing what one is doing, and thereby hurt and harm others. The first four are important aspects of sīla, while the fifth is also no less important. When one lives according to the laws of Dhamma then benefits will arise. One who hears Dhamma but does not practice it is like a sick person who instead of taking the medicine prescribed by a doctor after an examination, keeps on repeating what is written on the prescription – 2 tablets in the morning, 2 at noon and 2 in the evening. Will this heal the ailment? Certainly not! The medicine has to be taken; only then will it cure the disease. Dhamma too has to be imbibed, it has to be lived, then alone will it give its benefits. In order to live Dhamma it is necessary to discipline one’s mind in order to concentrate it. This second step is called samādhi. We know very well what should or should not be done, yet we often end up indulging in wrongdoing as we have little control over our minds. Even though not addicted to drugs or alcohol, a person may be addicted to anger, desire, arrogance. The intoxication produced by these defilements may even be stronger than that produced by alcohol and drugs. Under the influence of these defilements and without really meaning to be violent one may end up killing somebody or depriving people of their peace and happiness.. Hence samādhi, or disciplining of mind, is of great importance but even this is not enough. We may not commit any verbal or physical violence, thereby depriving others of their peace and happiness, but if we deprive ourselves of peace and happiness this also is harmful. It is the immutable law of nature that a person cannot make others unhappy without first making himself unhappy, he cannot deprive others of peace and happiness unless he first deprives himself of these. If a person thinks of killing someone, anger and hatred will arise in him first which will cause him misery. If he thinks of stealing, greed and craving will arise in him; if he thinks of committing sexual misconduct, passion will arise in him; if he thinks of telling a lie and speaking harshly, greed and arrogance will arise in him. One cannot commit vocal and physical unwholesome actions without first being influenced by various defilements. The great men of our country realized this truth—A person kills himself first before he can kill anyone else. A great man is one who says something based on his experience. If one repeats what he has heard from others or what he has read in books it may sound good, but as it is not based on his experience it is not very helpful in living a Dhammic life. So long as one does not experience the truth that before killing others he kills himself, before depriving others of their peace and happiness he loses his own peace and happiness, then he cannot understand Dhamma deeply, he certainly cannot teach Dhamma. On the other hand if one does not break the laws of nature but observes them the reward is immediate. If moral precepts are observed and one develops loving kindness, compassion, sympathetic joy and equanimity one feels so happy and peaceful. Learn to purify your minds. Learn to be free from defilements and you will see how great the peace and happiness is that you will experience. Dharma in ancient India was called just – Dharma; not Jain dharma, Hindu dharma, Bauddha dharma, Christian dharma, or my dharma, your dharma and so on. Unfortunately true Dharma turned into various sects with their own rituals, dress codes and philosophies. Without personally understanding Dharma (Dhamma), or natural law as it may be called, at the experiential level, the knowledge of true Dharma is indeed lost. As I mentioned before, I went to my teacher with much trepidation as I was going to a Buddhist teacher. I made a firm resolve: ‘I will try out their teachings once, but I will never ever become a Buddhist.’ Sayagyi U Ba Khin talked about sīla (moral conduct), samādhi (control of the mind) and paññā (wisdom) which all sounded good, and I felt I could follow them, but I would never become a Buddhist. 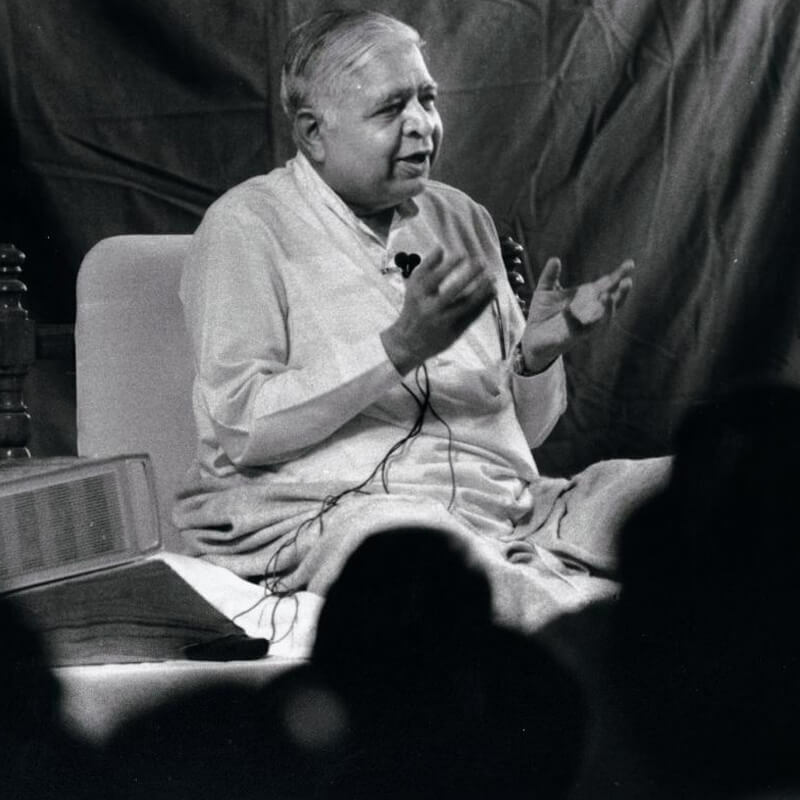 Sayagyi said however that what he was going to teach me was Vipassana, the ancient knowledge of India. I thought, ‘Ancient knowledge of my country! 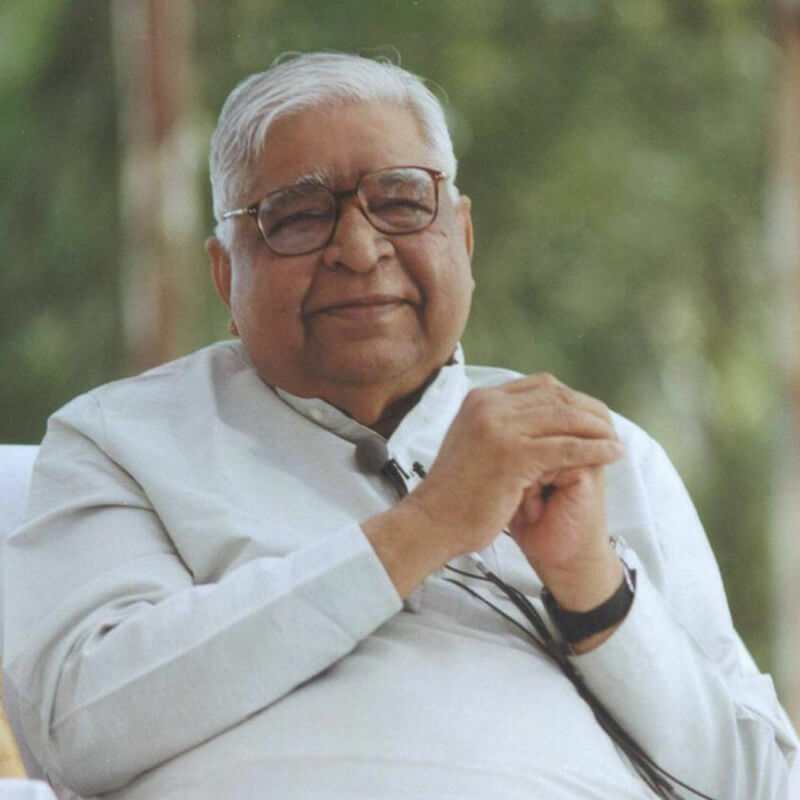 I have never even heard of it!’ I went home and searched for the word ‘vipassana’ in the Hindi dictionary as I was an avid reader of Hindi literature. I did not find the word there, nor even in my Sanskrit dictionary. 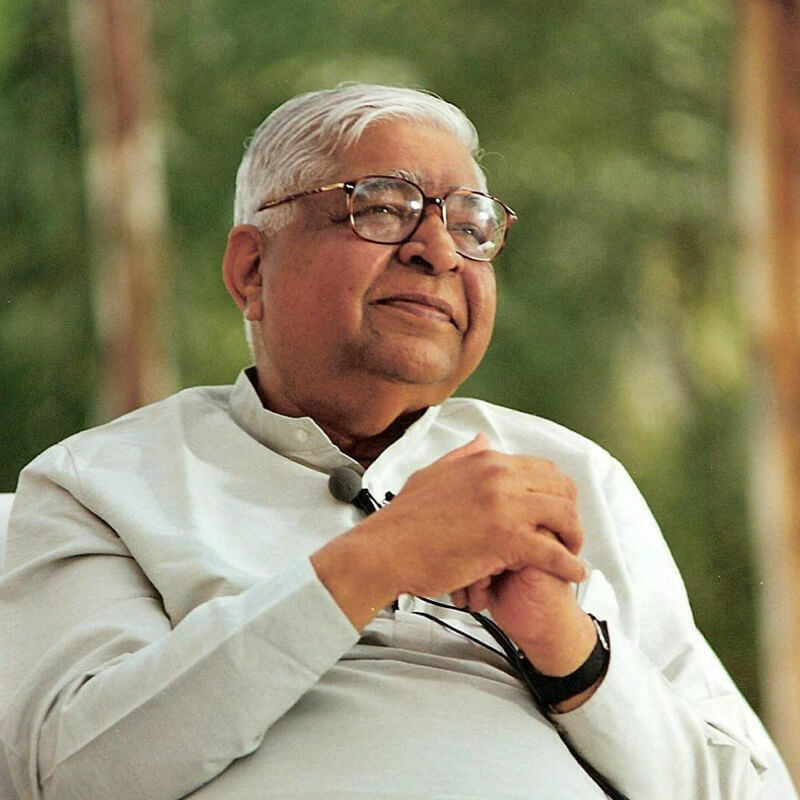 It is unfortunate indeed that the very word of vipassana was lost in its country of origin. Fortunately, due to the outstanding efforts of the people of Myanmar where it was preserved in its pristine purity, the teachings could come back to its country of origin. After my introduction to Vipassana meditation the teachings of Lord Mahavir, the words of Gita, in fact the Dharma itself became so clear! Lord Mahavir has used this term vipassana saying: ayata cakkhū, loga vipassī; meaning he who is a vipassī will receive the vision, the vision of wisdom (paññā). He also used the word āyata, meaning far reaching vision is received. Now let us understand what is meant by the term loga as in: Logassa ahobhāgaṃ jāṇati, uddhaṃ bhāgaṃ jāṇati, tiriyaṃ bhāgaṃ jāṇati (Jināgama-granthamālā, Granthānka-1/91). It means within this physical body wherein all the external lokas (worlds) reside. Further understanding this loka (loga) – the lower half of the body (Logassa ahobhāgaṃ), the upper half of the body (uddhaṃ bhāgaṃ jāṇati), front and back of the body (tiriyaṃ bhāgaṃ jāṇati), know the physical self well by experiencing what is happening. Our entire lives have been spent knowing the external world. We have never seen what was happening within the physical body. We may keep saying, “this body is not me, it is not my soul” but within us there is immense attachment to the physical body as well as the mind. The ‘I’ is fully immersed in them. When we practice Vipassana meditation, then we see that this bundle of atoms called aṇupariyaṭṭamāṇe is changing constantly. The body and mind is ever in a flux, every moment creation and destruction, changing, never still. Practicing Vipassana we can experience this constant flow of atoms. We also understand how deeply we are attached to this physical self, thinking, ‘this is me, this is mine.’ But which atom can be called me or mine! We are attached to it and when it changes, which is inevitable, we get deeply disturbed. Practicing Vipassana we become aware of this reality. But we need to be careful of pitfalls. While practicing meditation, instead of observing whatever arises dispassionately we may start getting attached to the pleasant sensations that arise. This is particularly true when we are new to the practice. Gradually of course we will realise that whatever arises, whether pleasant or unpleasant, needs to be observed dispassionately. Lord Mahavir talked about – sandhiṃ vidittā – the point of connection. Some people who come here say they are looking at the connecting joints – the elbow joint, the hand joint and so on. But what is to be gained by that? We have to experience that point of connection where the aversion and craving get linked with our mind and body, and by observing it, we work towards going beyond craving and aversion. Sandhiṃ vidittā – one who is able to watch that link where pleasant and unpleasant experiences generate craving or aversion. Such a person is called a strong one, he is worthy of praise, he unties his knots – Esa vīre pasaṃsite, je baddhe padimoyaye. The work of opening the knots that have bound us since birth can only be done in a human life. A human life is the most valuable. The ability to open these knots is given to us alone by nature. Animals, birds, reptiles and insects cannot do this. A human being has the ability to look within and he is able to stop the pattern of tying new knots. When that happens, the old knots start dissolving automatically -Khīṇaṃ purāṇaṃ, navaṃ natthi sambhavaṃ. This is the law of nature. For instance, if you want to stop a fire burning you have to stop adding fuel to it. As soon as you stop adding new fuel, the fire will gradually be extinguished as the old fuel burns off. So also you have to stop creating new craving and aversion so that the old supply gets used up, taking you to the state beyond craving and aversion. This is the highest goal of a human life. How to be truly free of defilements, how to be truly non-violent? For that deep meditation is essential. Those who reach this stage of meditation can see how much heat and fire the old stock of defilements contain within. Watching this fire within is highly beneficial. There are those in India and elsewhere who sit by fires covered in ash. How does that help! It was India’s great misfortune that such priceless knowledge that can free us from the cycle of life and death was lost here. And now having returned to the country of its origin it is often not well received though it is the true spirituality of India. We have forgotten the words of the great sages. Lord Mahavir said: jahā anto, tahā bāhiṃ, jahā bāhiṃ, tahā anto; meaning what is inside is also outside and what is outside is also inside. Every moment, every atom in the universe, every atom within the body and mind is changing. Don’t accept it blindly. The Lord further said to watch the body in its entirety – anto anto pūtidehantarāṇi, and pudho visavatāiṃ – that is, remove all the āsavas, the defilements stored within. Such beneficial teachings which are mentioned in all spiritual traditions were lost; only the words remained, without their true meaning. Now Dharma has returned with immense benefit to many. The extent to which people work on themselves, is the extent to which their stored defilements of anger, fear, lust etc. are reduced. Often we encounter people who see others benefitting from these teachings and yet are reluctant to try it, as they continue to think of it as Bauddha dharma. I feel compassion for them as I too was once caught up in the same confusion. Gita tells us about balanced wisdom – sthitapragñasya; to go beyond fear, anger etc. My teacher told me he would teach me only these three – sīla, samādhi and paññā, nothing else, because all Buddha taught was contained in these three. ‘Try this for ten days’ he said. When I went there I saw Dharma as Dharma, not Bauddha, Hindu or Muslim dharma. These adjectives weaken Dharma as they become primary and Dharma becomes secondary. While doing research on ancient literature at our centre, we saw that 1500 years after Lord Mahavir passed away, the word ‘Jain’ was used for the first time. Similarly, for 500 – 700 years after Lord Buddha’s time the word ‘Bauddha’ was not found in any literature. Neither Buddha nor Mahavir used these words. Indeed even the word ‘Hindu’ was not used in reference to its community for a long time. Once sectarianism started, various sects started giving names to their own philosophies, rites and rituals which then became prominent. As rituals took precedence, Dharma remained only in empty recitals. Now as people awaken to the truth, they will realise that Dharma is primary and it must arise in our lives. -Dhamma is not Hindu or Buddhist. Dhamma is not Muslim, or Jain. Dharma citta kī oeuddhatā, dharma oeānti sukha cain..
-Dhamma is purity of mind, peace, happiness, serenity. harma belongs to all, not to any one community or sect. I would like to say one last thing today. In ideal traditions of pure Dhamma it is imperative that the Dhamma teacher does not ask for any donations ever. This rule should never be broken. However I will now break this tradition even if it is a moral offence. And what will I ask for? Give me 10 days out of your valuable time. Give me 10 days for your own welfare, for your own liberation. And later, who knows how many more will benefit as a result, how many more will come to the path of liberation through you! May all of you who have come to this gathering set aside 10 days of your lives and grow on the path of Dhamma for your highest welfare, for your own liberation.